Use this elegant hardware kit to add the finishing touches to a hand made two-part walking cane. 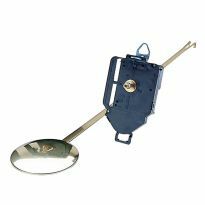 Includes hardware to join upper and lower parts of the stick and a brass cane tip. Hardware is solid brass, polished and machined to exacting standards. Cane handles (sold separately) contain the hardware for attaching the handle to the stick. All parts machined from solid brass. For best results, use epoxy to install tip and threaded insert. Threaded insert fits into a 13/32" diameter x 7/8" deep hole and has a flange diameter of 25/32". Cane tip is 19/32" in diameter and fits onto a 31/64" tenon. Nice component package. Very versatile. Good quality. I would recommend this product to anyone who works with canes. I only used the tip, but it was just as specified. It enabled me to repair a cane and make a fast $20 for the American Cancer Society. Win-win!! Worked perfectly for what I needed it for. Great product exactly as advertised....fits like a glove.....timely receipt of product.....5 stars from me. I have used this brass cane hardware for a few months now and highly recommend it to others who want a quality product at a reasonable price. I got ambitious one day and bought three sets of the cane connectors to make a camera support that would knock down to fit into my backpack so I could easily carry it on a trip to Europe and the Middle East. I first made it from cocobolo and cherry, but found the cherry was too weak, so I switched it out for hickory. (It worked great, saved quite a few photos from blurring. The trip was awesome too!) I found it necessary to experiment a little with the size of the pilot hole for the screw fitting - too small and the wood splits, too large and you may lose some strength. 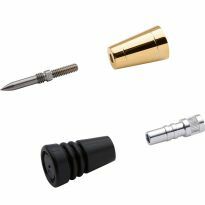 Either way, count on using epoxy to lock the fittings into the wood, especially the brass floor tip, which fits onto a tennon. Not wanting to risk marking the floor if I used the stick indoors, I also epoxied a small disk of leather to the tip. For the top end, I fitted a 3/8&quot; 16tpi hanger bolt, which threads into the ballhead from my tripod and my camera mounts to that. The bolt gets covered by the brass ball handle when not in use, which screws on easily once a little paraffin wax is applied. If a slender stick is required, the brass turns easily with high speed steel turning tools.All in all, I am very pleased with this hardware kit. I've already bought the hardare to make a second stick, as my friends have expressed a great deal of interest in my first one. 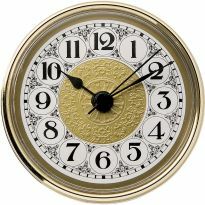 Before I ordered I shopped the product and made a purchase from two sellers. Your product was the same price as the other seller but it included a tip. As I use up these parts making canes I will replacing the order from you because you both sold the product at the same price and I received your product several days ahead of the other vendor. Thanks for the fast/good service with a excellent product. I haven't used the hardware as yet, but I see that it is as described- heavy duty solid brass & very sturdy. I am quite sure that it is capable of holding up under the use of anyone that needs a cane! I really hope in the future a selection will include a longer threaded shaft for some of the hand-made canes & staffs being made currently. I did not used or need this. If you wanted a two piece cane I am sure it would work. Either I got a miss-sized set or the directions regarding hole sizing at 9/32” and 13/32” are wrong. Such holes are way too small for the brass inserts to screw into (and would split any hardwood even if they could be threaded). Use standard 5/16” & 7/16” bits rather than wasting money on the weird, never-to-be-used-for-anything-else directions bits. Tape ends to prevent splitting and use epoxy to cement. Likely won’t be straight so can use ShopMate-type vise to hold length straight while epoxy sets. 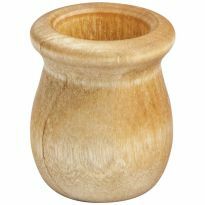 I ordered this to go along with the cane head I ordered. I was pretty certain that I wouldn't need the middle section as I had no intention of cutting the walnut shaft I had created by hand into two pieces, but thought the tip would work. It turns out to be very narrow, and for my purposes far too narrow. I suppose if this cane was merely for show I could work it out, but I intend this cane to be used without compromising it's strength with a tiny tip. But to each his own. Poor product, poor choice to split can in half with brass hardware. This was the first time I made a cane in two pieces. I won't do it again. The brass hardware is well made but screwing a wooden cane together at the middle with threaded parts makes for a weak joint. 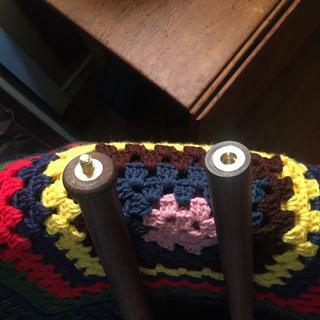 I scrapped the brass and used a hardwood dowel that I glued in to connect the two pieces. If u have too small a lathe to turn a cane in one piece, do yourself a favor and drill holes ON THE LATHE, and then use a hardwood dowel and glue to put the two pieces together. Much stronger joint than this brass hardware. I make walking sticks and this quality product will be a fine feature. Have a brass Cane that needs repairing. My husband's great-great-grandfather's walking stick was missing its ferrule. Yours should fit perfectly. Because Rockler sells the best quality. I've used a cane for a number of years and decided to make my own. Have an old cane with coupling device that was broken/lost in a fall. Have not been able to find a piece that would work in my local hardware store. Hoping this will do the trick. I make Diamond Willow canes, and Walking sticks to sell, Rockler hardware is the only Hardware to use if you want the finished product to look professionally made. I NEED THIS FOR CANES I MAKE. I USED ONE BEFORE AND IT WORKED VERY WELL. High quality yet simple. Comes with installation instructions with detailed exploded view of kit with cane halves and also exact measurement notes. I bought this so that I can break my Custom made came down for travel purposes. To repair a hiking staff that broke. Don't know if we need it or not, but better to have it in case we do. 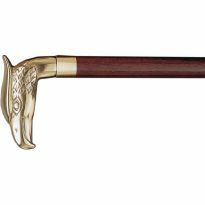 I am hopeful the item will fit my vintage 2piece billiard cue/walking stick when utilized as a walking stick. 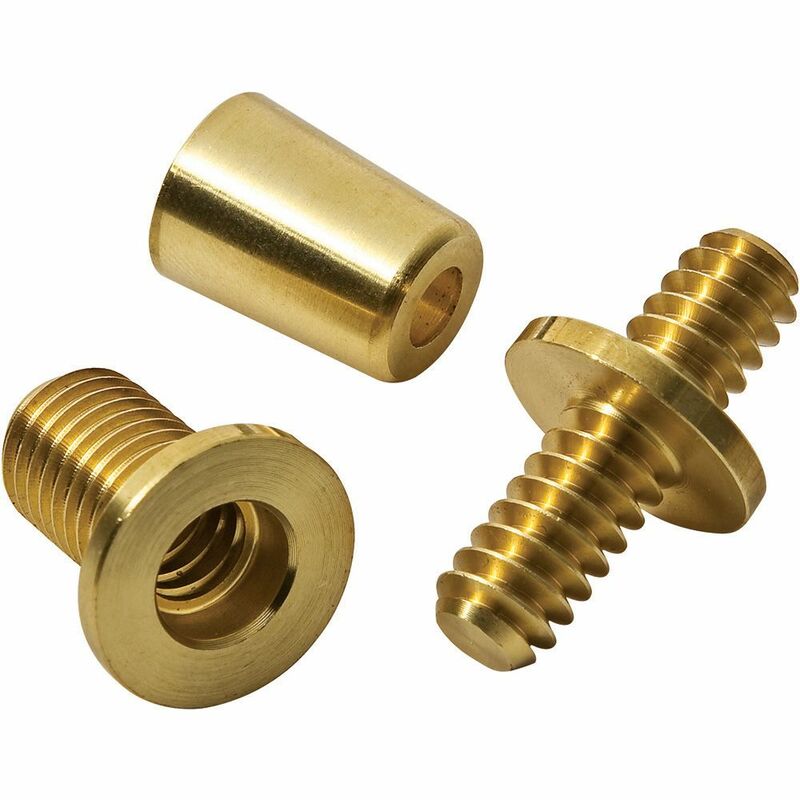 Do you offer threaded adapter that has a male thread to mate with the female thread on a brass eagle head handle? The other end would need to interface somehow with a wooden shaft. 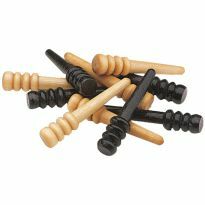 If you don't offer any such part, can you identify the thread size used on brass cane handles? what size taps is used? is the tip available separately? BEST ANSWER: I bought mine in a kit. Do you have this style of cane tip in silver ? BEST ANSWER: Unfortunately it is not available in silver. 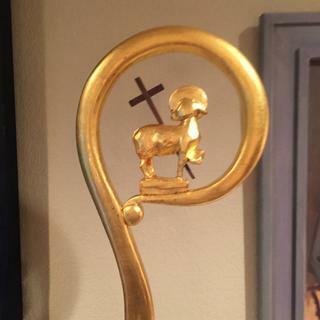 Hi there I have a cane with a brass eagle head and am wondering if you have a 2” extension that will fit between the eagle head and the threaded part as the cane is a bit short? The catalog lists one diameter- 13/32", but there are two sizes of male thread shown. What is the size of the other pilot hole? What are the dimensions of the cane tip - top diameter and diameter of the center hole?